Powerful Mindset Programs To Program Your Mind & Create Positive Lasting Changes! Positive THOUGHT programming can help CHANGE the way you think, through REPEATED exposure to uplifting and motivating MESSAGES that penetrate deep inside your mind. Changing the way you think and changing how you interact and live your life. Everything begins with a thought, think it enough times, feel it enough times and this inevitably becomes your belief. Belief spills over into ACTION which creates RESULTS! The real secret, behind THE SECRET, the secret to the law of attraction, is REPETITION. The repeating everyday SELF TALK we speak to ourselves that either holds us back, or empowers us to move forward. Those ingrained THOUGHT HABITS that influence our attitude, outlook, behaviour and even our very happiness and spirit. It’s time to take back CONTROL of your thoughts and instill new positive empowering ones. So you can be the real YOU! To let go of limiting mindsets and set your mind on success! Start retraining and reprogramming your mind today by listening to our unique audio albums that help change mindsets. Most of us want pretty much the same things in life. Personal happiness, a good job, financial security, the love and support of friends and family, good health and a long life. To unlock our full potential, to unlock ALL our possibilities. Start your journey. Bootstrap your beliefs! Set and more importantly keep ANY goal! Install rock solid self confidence! Enhance your health and vitality! Grow your social abilities and influence! Create wealth and financial abundance in your life! Learn to use your imagination, master your mind and transform ANY aspect of your life! Apply all you know to become a millionaire and start GIVING BACK to society! (All 7 Mindset Programs + Our Unique Master Mind Mindset Album). Includes bonus Mindset Transformation Guide eBook, Mind Map and more! – Normal value $159.60 slashed to $69.95 to allow you to transform your life! Reveal your inner psychic abilities. Allow your creative side to expand. Improve your memory by tapping into your inner giant. Utilize your subconscious to give up smoking. Relieve back pain by induced relaxation. Conquer diet once and for all. Bring relief simply by using your mind. Experience deep profound relaxation and peace. Unblock negative thoughts about wealth and money. Manage your time like a pro. Bring lasting relief from headaches. Relieve stress at the heart of where it starts. Solve problems like never before. Master and achieve top sales. Overcome fear of public speaking. Play using your mind’s eye. Rewire your mind to reach it’s full potential. Unlock the doorway to unlimited abundance. However, for most of us success eludes us. No matter what we try, we never succeed. Some invisible force seems to hold us back. Preventing us from achieving what we know we are truly capable of. What seems easy for some, is hard for others. Some succeed no matter what the adverse circumstances, while others, given all the opportunities in the world, still manage to fail. The difference lies in our mind. It is our mindset. The internal belief system we hold to be true about the world and about ourselves. What you believe is A truth, not THE truth. Belief is not real – IT IS only the meaning YOU ATTRIBUTE to something – merely an interpretation. Most of us have some limiting mindsets, based on the negative self talk that was instilled within us when we were young and which has been ingrained over time. We are often unaware of how ‘automatic’ our thoughts have become and how they consistently hold us back from achieving our best. If we wish to break out of this negative cycle we need to take positive action. To condition our mind for success. To replace limiting mindsets with proven success orientated ones. To reprogram our mind for the same success that others achieve. By thinking the same way! 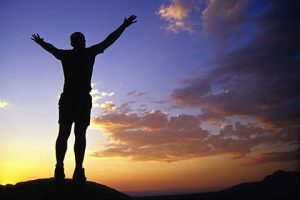 The powerful positive outlook that we can succeed in life, in whatever area we choose and we can overcome all obstacles and setbacks. Learn to BELIEVE what they believe, THINK how they think and ACT like they act – to get the same RESULTS in your life! Mind Power Programs are the original accelerated success conditioning audio albums that install positive thought directly! Specially formulated to install below the threshold of conscious awareness, our unique audio albums, train your mind to think differently. Creating a new outlook & transforming your life for a better future. All achievement begins first with thought. The thoughts that reflect your beliefs based on your past results. These thoughts are evident in the words you use and influence the actions you are willing to take to set and achieve your goals. 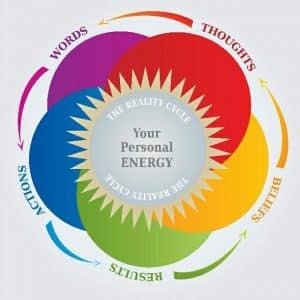 Making your everyday words positive, short circuits your beliefs and actions. Positive thought that builds a SUCCESS CONSCIOUSNESS that influences you and others around you. If you want to realize your dreams and achieve the progress and change you have always wanted then move forward. Ensure you are exposed to some of the most powerful constructive new ways of thinking that guarantee to reprogram your mind for SUCCESS.